Work the Nordic-meets-safari trend in your home with Kyra. 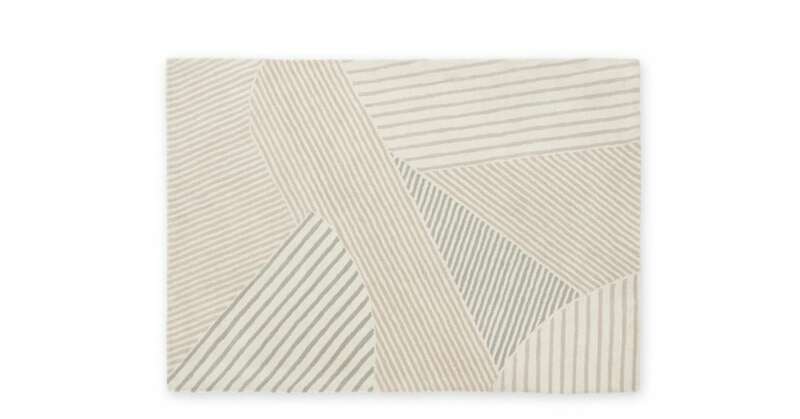 It’s a rug that makes a subtle statement thanks to its neutral colour palette and linear design. It’s crafted from pure wool making it soft underfoot, while its large scale means it will instantly update any room. We love Kyra. It’s a gorgeous rug that works brilliantly with so many styles. It’s a simple design that looks great in minimal rooms but is striking enough to capture attention if you favour bold pieces.